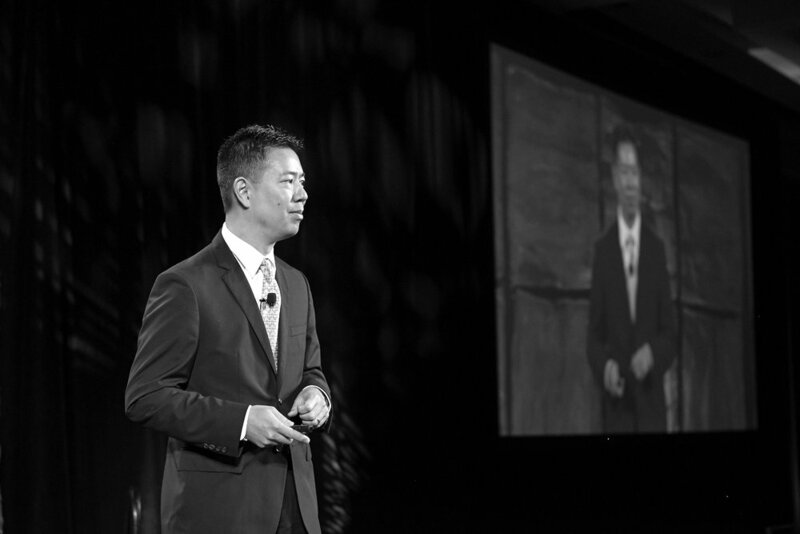 Make your event memorable with an inspirational KevinMD keynote! Kevin Pho, MD is a health care social media leader since 2004, a practicing, board-certified internal medicine physician, a national media commentator, and co-author of the book, Establishing, Managing, and Protecting Your Online Reputation: A Social Media Guide for Physicians and Medical Practices. These perspectives define his unique social media journey, and his story has brought audiences to their feet. Media appearances include the CBS Evening News with Katie Couric, New England Cable News, ReachMD XM Radio, Sirius XM Radio’s Doctor Radio and WNYC-New York Public Radio’s The Takeaway. Kevin built the KevinMD platform from scratch in 2004. It now receives over 3 million monthly page views, and exceeds 250,000 followers on Facebook and Twitter. Kevin was named the web’s top social media influencer in health care and medicine. The New York Times called KevinMD “a highly-coveted publishing place for doctors and patients.” Forbes called KevinMD a “must-read health blog.” And CNN named @KevinMD one of its five recommended Twitter health feeds. He is also a member of USA Today’s Board of Contributors, and his opinion pieces appear in both national and local publications, including USA Today, CNN.com, the New York Times, Medscape, AOL News, the New Hampshire Union Leader, and the Nashua Telegraph. Find out how social media’s leading physician voice can highlight your event. 1. Direct interaction with Kevin Pho, MD. Kevin personally handles everything about his appearance, including technical logistics and travel. 2. Prompt replies. Often within an hour. 3. Quick turnaround for paperwork. Any bureaucratic request is typically completed within a day. 4. A dynamic keynote. Designed to educate, inspire, and entertain your audience, Kevin’s keynotes are sensory feasts that embrace contemporary keynote techniques. 5. Promotion. Kevin will promote his appearance on the KevinMD platform, which receives over 3 million monthly page views, and exceeds 250,000 followers on Facebook and Twitter. What does Kevin speak about? These topics can be specifically tailored to your audience. Kevin’s keynote can be adapted to both clinicians and non-clinicians, and customized to a length ranging from 30 to 90 minutes. Kevin is very comfortable doing question and answer sessions, and is happy to answer any questions from your audience. There are many doctors who are practicing, board-certified internal medicine physicians. There are some doctors who are influential keynote speakers. And there are a handful of doctors who built an online social media platform from scratch that reaches millions. But there is only one doctor who is all three. Kevin’s singularly unique background, expertise, and skill set makes his story resonate and gives him the credibility to change minds, empower, and inspire. You are the true heroes. Planning a conference is stressful, with lots of moving parts. 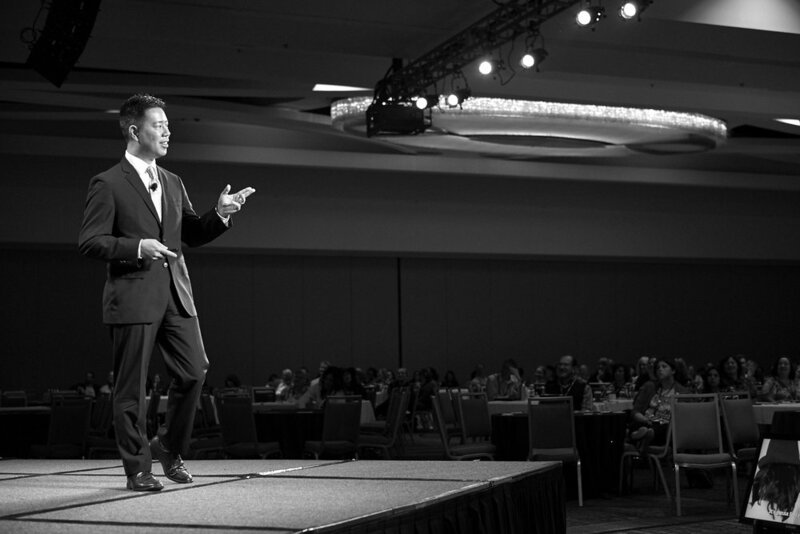 As an experienced keynote speaker for conferences both large and small, Kevin aims to make your job easier. When was the last time you heard that? Kevin will promote his appearance on the KevinMD platform. He can also create promotional videos, like this one he did exclusively for TexMed 2017. Kevin on why we should share stories of physician burnout. “Dr. Pho’s keynote presentation at our annual members meeting was truly, just perfect. Extremely rich in content, and a delivery that is world class. "I recently attended Pri-Med South. Your talk happened to be scheduled at a convenient time for me to attend; I was not sure I was interested in social media and medicine. But I am so happy I did go, as it was one of the best lectures I have EVER heard in over 40 years of practicing medicine. I just retired from family practice and never realized the power that social media can have in so many areas: improving patient communication, having a louder voice in policy and legislation, and having a place to share opinions. Thank you for your enthusiasm, common sense, clarity, and willingness to share your great ideas and extensive knowledge in this field that doctors of my age may entirely ignore. What a mistake that would be." "I want to thank you for addressing the Texas Medical Association at its annual meeting, TexMed. We have been reviewing the results of the conference, and your presentation stands out as a truly memorable experience for our membership. You obviously spent a great amount of time preparing your very thoughtful remarks for us, and we deeply appreciate it. Again, thanks so much for all of your work in anchoring our educational sessions at TexMed 2017." "Dr. Kevin Pho is a remarkable and dynamic speaker! His insight and expertise in social media makes it practical and easy to understand." "I would rate Dr. Pho with a million stars in each category if I could. He is the voice of our generation of physicians." "The best talk I’ve ever attended at any Pri-Med conference!" "This was my favorite presentation. Dr. Pho is the best public speaker I’ve seen in a long time. I would love to see him again in the future." "The best of Pri-Med. This speaker was marvelous, informative, engaging." "This was an excellent presentation. Kevin Pho was not only funny, but he also made a real case of the importance of social media. It may make a real difference between success or failure in any business attempt." "Best presentation of the entire conference. Dr. Pho was an excellent speaker and very inspirational." “Dr. Pho was the opening keynoter for the 16th Annual Healthcare Internet Conference (HCIC), a gathering of approximately 700 hospital and health system web leaders. His kick-off was a superb way to launch this annual conference with a nice blend of information, humor and humility. This session created a buzz of discussions and questions that carried through the meeting. 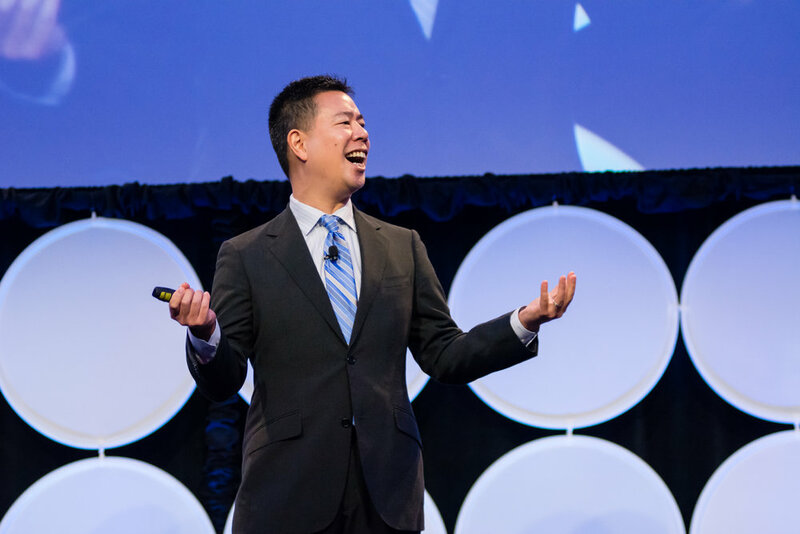 "Dr. Pho captivated his audience and it was one of the most inspirational presentations I have ever heard." "Kevin was excellent. The tips he gave will take my practice to the next level. He was approachable, and that was amazing!" "Your presentation was very powerful and well received by our members and guests. Thank you for your leadership in helping physicians learn to manage their online reputation and expand into the social media world. We salute you for encouraging physicians to use social media to increase patient satisfaction, influence the perception of the medical profession, and elevate the quality of health information online." Béla S. Kenessey, MD, president and chair, board of directors, Cooperative of American Physicians, Inc.
Lisa Thomsen, MD, member, board of directors, Cooperative of American Physicians, Inc.
"Excellent presenter. His passion for the topic came through loud and clear. I could have listened to him all day!" "Kevin was very engaging and really gave a motivational talk with great answers to the questions asked at the end of the session." “Our Women in Otolaryngology annual meeting enjoyed Kevin Pho’s outstanding talk about the physician’s role in social media. Informative and inspiring, Dr. Pho held the attention of a packed room while he took us through how social media can transform medicine and how we can be a meaningful part of that transformation! A real eye opener. By the end of the talk dozens of new Twitter accounts had already been established! We were inspired to get our Facebook group and page up and running. “Dr. Pho gave an impassioned, articulate, and insightful talk on the role of social media in health care, articulating how and why it can be used by physicians to improve patient — and provider — health. It was a compelling and eye-opening talk — supported by both facts and stories — fueled by the depth of his thinking on the topic. Henry D. Doernberg, MEDITECH, Inc.